Garden signs are a worthy investment but the only problem with them is they are not that durable. Since they are placed outdoors, they have to bear the wear and tear of the weather. Even if you have followed the right tips to purchase the outdoor sign for your garden, if you don’t take care of it, it is never going to last long. Before your outdoor garden sign is ready to the placed outside, apply a coating of the water-repellent preservative on it. This will increase its resistance to not just the weather outside but it will add life to the paint too. However, you will have to be careful when choosing the preservative. How can we forget about cleaning the outdoor garden sign? It is a pertinent step to its maintenance. Even though it is outside and in the garden, which makes it exposed to dirt and humidity already, you still need to clean it regularly. If it is a sign made out of wood, do not use soapy water to clean it. Just use a dry cloth to wipe away the dirt and if necessary gently rub for removing the tough grime. Be gentle with the cleaning since rough handling can reduce the life of your outdoor sign. 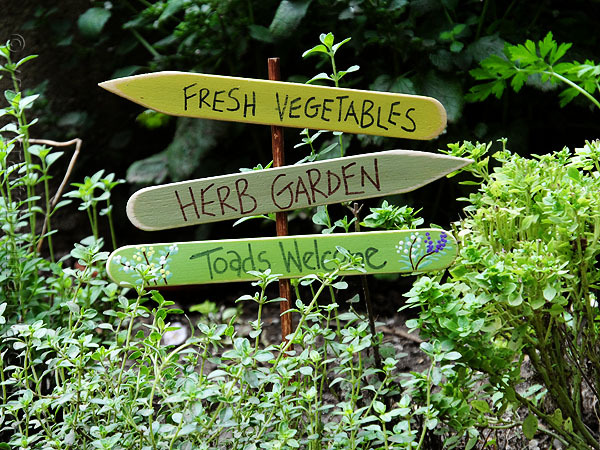 Your outdoor garden sign will be exposed to all sorts of weather troubles outside. To ensure protection, check the seals. Make sure your sign is glued, sealed, welded or bonded together. Otherwise, the havoc could wreak your sign in a snap. If a storm or rough weather is expected, it is recommended to use covers and protections. This extra effort can save you from investing money in getting another sign built. The more you take care of the outdoor sign, the longer it is going to last. But the materials chosen for the construction makes the sign durable in the first place. As you choose the right company for the construction your outdoor sign, you won’t have to worry about the materials. However, you should always double check on the quality and ask them questions related to the product. As you get the right answers, it means they know what they are doing. Since the outdoor sign companies deal with the work on a daily basis, you can also get some tips from the experts about maintaining the signs and increase their life. Eventually, you will have to get your outdoor sign replaced whether you are rebranding or because the sign has worn out. However, with simple care, you can increase its life and save yourself the expense. Just because the sign is placed outdoors, don’t forget to take care of it. What Are the Best Sealants to Use on Your Replacement Windows Saskatoon?